Water is super hot and super cold! I am so happy with this water cooler. It's head-and-shoulders above any other in-home model. We want our customers to price shop if they'd like, but always come back here to purchase! So, we will match any online price you find. Just use the Contact Form to email us the link to the product and price you have found on another site and we will contact you to manually process your order. 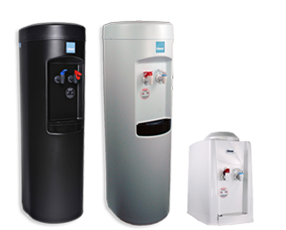 Buying from watercooler-dispensers.com guarantees the best price, excellent service, fast shipping, and the comfort of knowing your order will always be an easy, enjoyable and hassle-free experience.